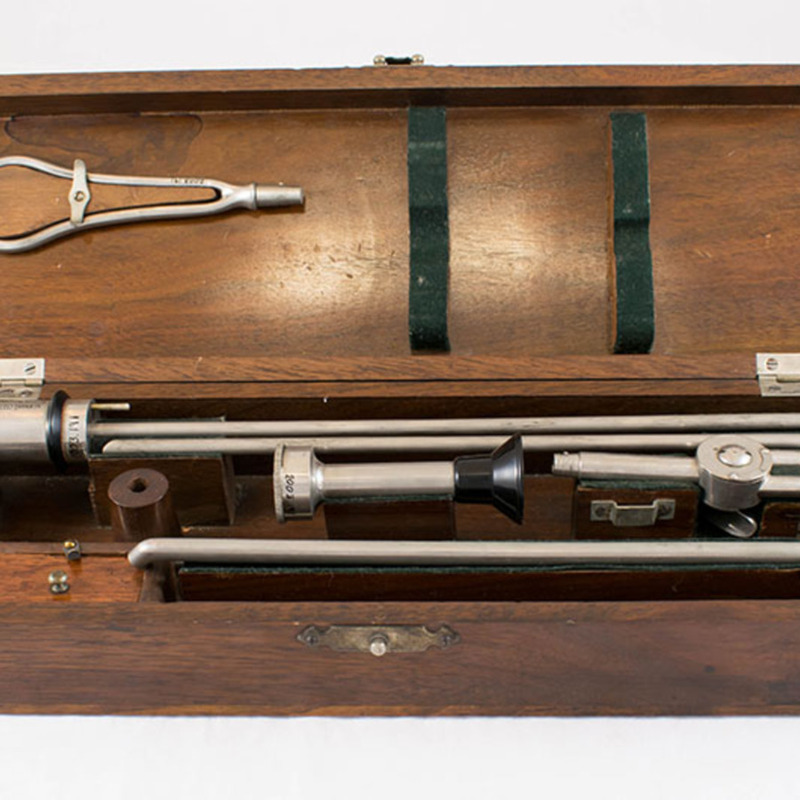 Newman's cystoscope, in wooden case, 20th century. 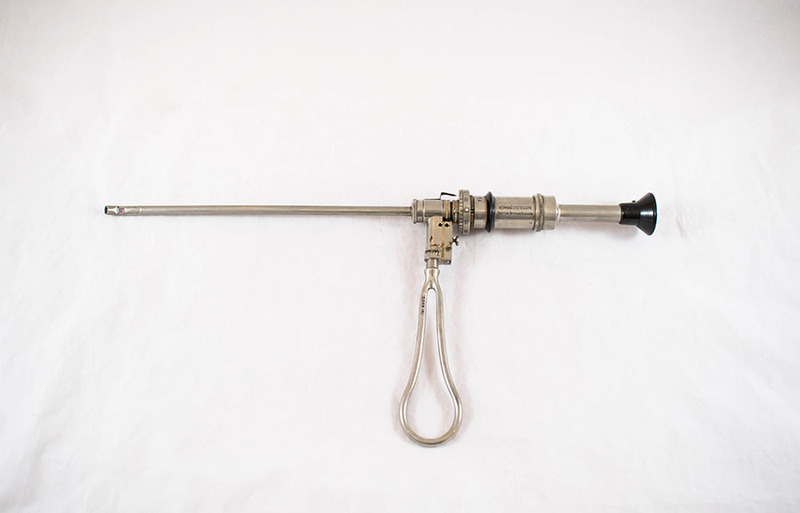 Pictured here is an example of a Newman Cystoscope, manufactured by Trotter of Glasgow. 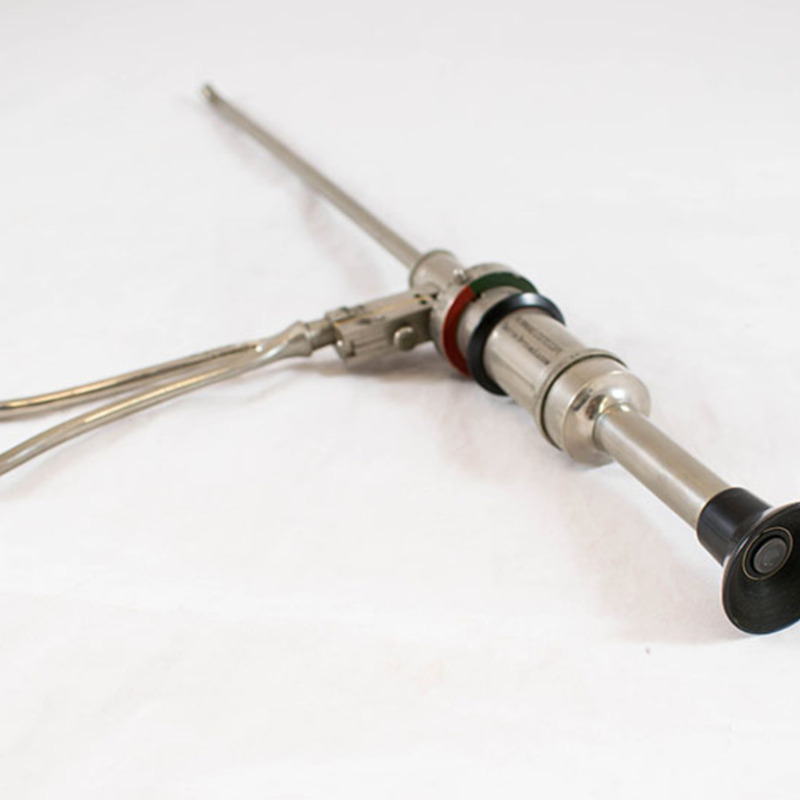 A cystoscope is a specialised type of endoscope that is passed through the urethral canal to view the contents of the bladder. 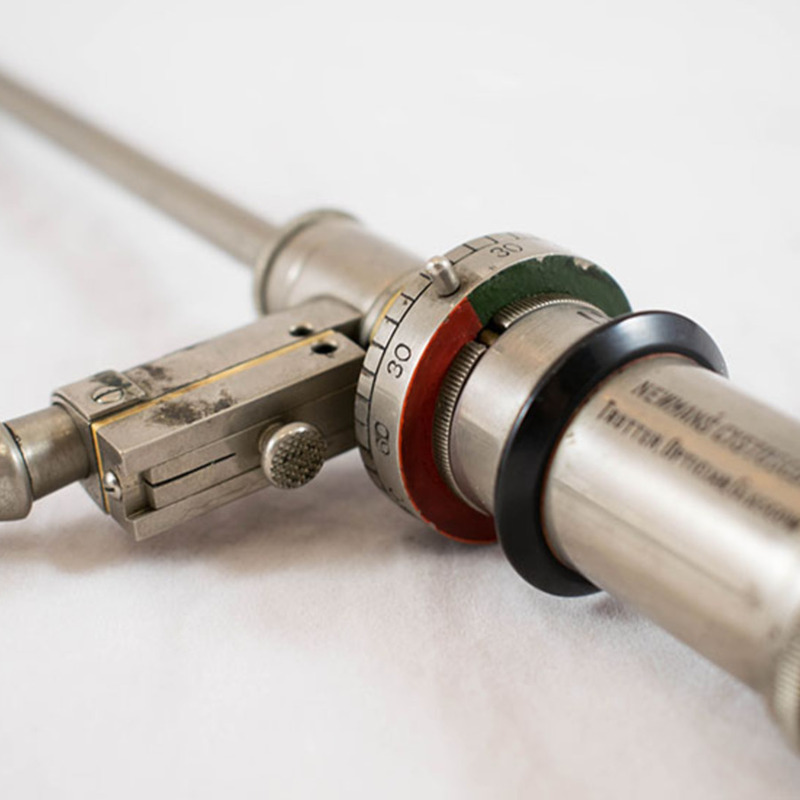 Glass, metal, plastic, and wood. 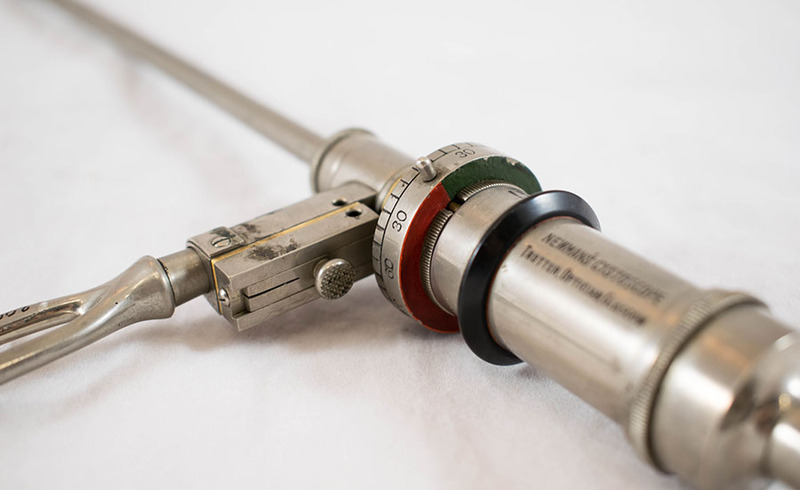 John Trotter Ltd.; 1867-2014; Optician and instrument maker, “Newman Cystoscope,” Heritage, accessed April 25, 2019, https://heritage.rcpsg.ac.uk/items/show/128. 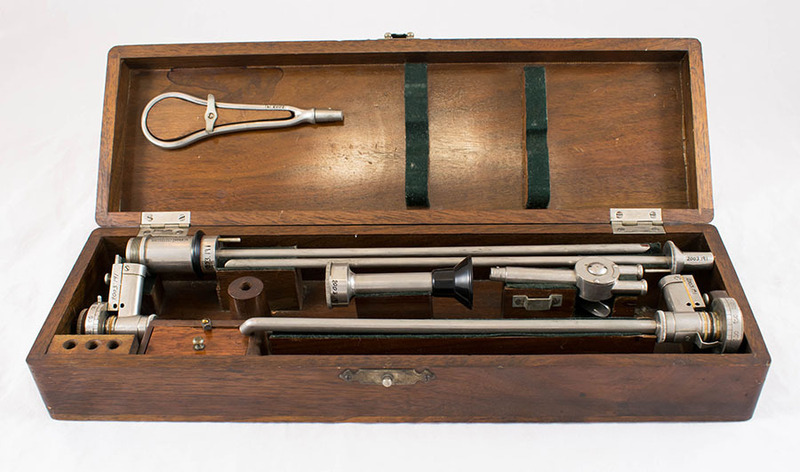 Description: Newman's cystoscope, in wooden case, 20th century. 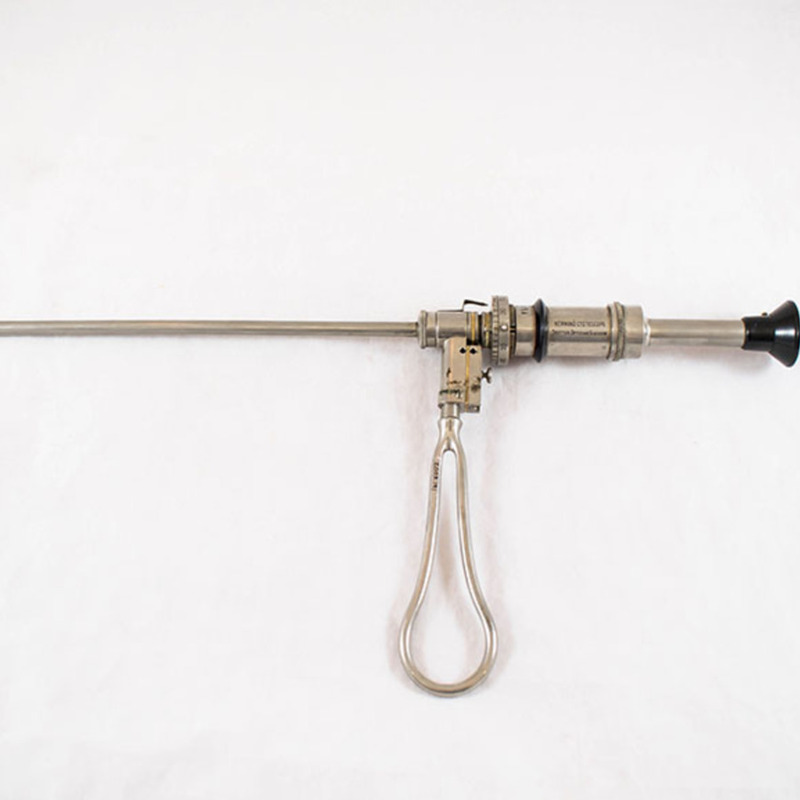 Pictured here is an example of a Newman Cystoscope, manufactured by Trotter of Glasgow. 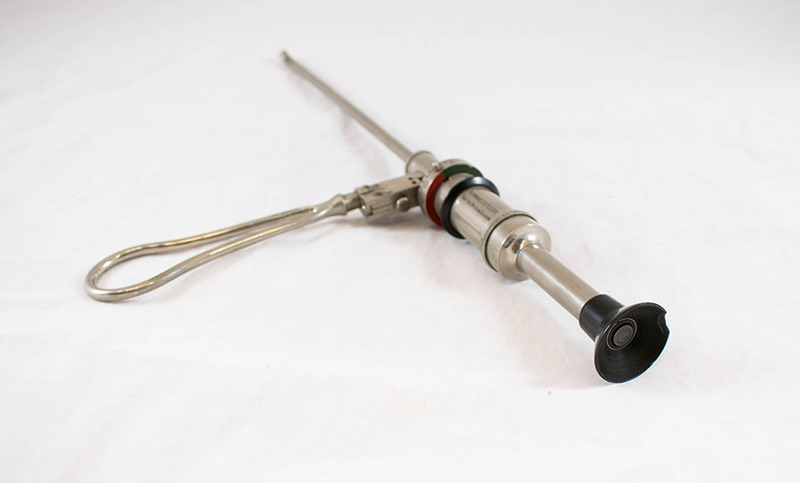 A cystoscope is a specialised type of endoscope that is passed through the urethral canal to view the contents of the bladder.